This is long over due, so I figured I’d toss this up here now and add more later. 1st place winner in the 2010 Dogfish Head Off-Centered Film Festival (w/extended credits made especially for YouTube). Watch it in HD! Note: When we werenâ€™t drinking DFH we were drinking Fool Circle (foolcircle.net). And if you dig the song during the credits, check out Erik Mitchellâ€™s music (facebook.com/mitchellmusic). 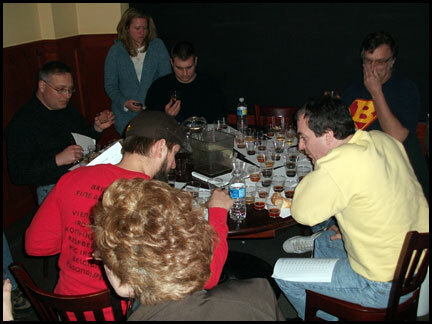 So yesterday, 04.03.10,Â was Iron Hill Wilmington‘s Brewer’s Reserve / Dark Side release day. Overall it was a real good time. Things were supposed to get started around 12:00 and I wound up getting there about 3:00. I had anticipated that things were going to be quite crowded by that point, but to my surprise it wasn’t very busy at all, and I was totally down with that. I was hoping they were going to do a dark beers only sampler, and they didn’t disappoint. 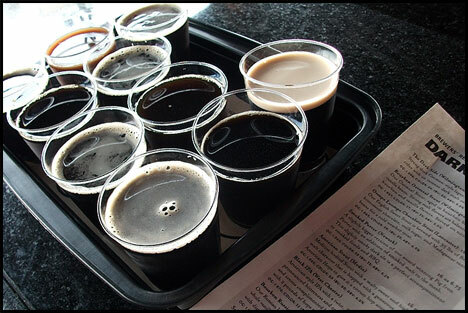 The Sampler consisted of ten different dark beers each approx 5oz for $20. So 50oz of reserve beer for $20, that’s a pretty good deal I think. 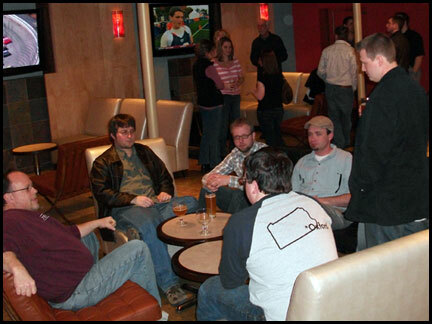 Plus if you were a Mug Club member they had Dark Side T-shirts they were giving away, which was a nice little perk. Some of the stand out beers for the day were the Dark Side, a crisp dark lager weighing in at about 10% alc, dangerous beer indeed, the Black IPA, a highly hopped dark beer that was more IPA with color than roast, and the Bourbon Russian Imperial Stout, a boozy blend of a big tasty beer and bourbon. I wound up meeting up with Wooly which was cool, he got a sampler also even though he’s not a big dark beer kind of guy. His favorites were the American Stout, a “lighter” stout compared to some of the options in the sampler with a nice hop presence, and the Oompa Loompa Chocolate Stout, a chocolate/vanilla stout. Honestly, the OLCS was not my favorite of the day. Though after talking to the brewer, Paul, about the beer it seems as if the beer we were being served yesterday may have been the “last keg” of the batch and wasn’t of the same characteristics of the rest of the batch. It reminded me of a milkshake or chocolate milk in appearance, with kind of a chalky after taste, oh well. 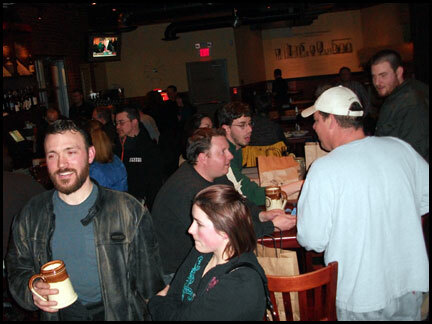 Per usual, good times at Iron Hill and can’t wait for the next event. 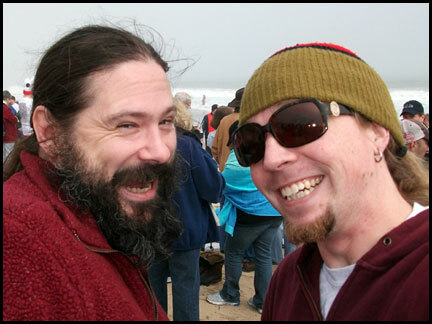 So yesterday was the 2010 Lewes Polar Bear Plunge for Special Olympics Delaware. Over all I’d say it was another successful Plunge, though I think the day before with the DFH Weekend of Compelling Ales and Whatnot kind of overrode the fun, or contributed, or amplified … Regardless, it was a fun eep-eep kind of weekend. 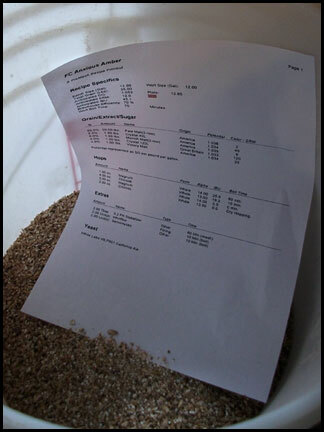 So yesterday McKenzie’s Brew House announced the winner to their little homebrew competition they recently had. The competition was pretty quiet from what I can tell, I can’t even remember where I heard about it. 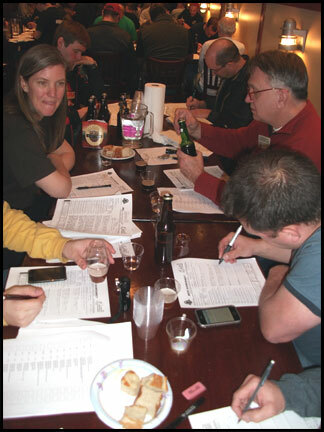 But the entry deadline was February 15th and the only real criteria was the beer had to be described as “Belgian”. “Out of style” Belgian Specialty ales were highly encouraged. From the impression I got there were maybe 20 entries, like I said pretty small. I decided to enter my Chinese 5-Spice Infused Belgian-style Dubbel, AKA Chinese Dubbel, AKA Dubbel Dragon (thanks Erik). I figured the base beer was good enough to hang, the 5-Spice contribution was definitely “out of style”, and the beer itself is actually pretty good. Now that I’ve had a few to drink it reminds me of a cross between a Winter Warmer and a Belgian Dubbel, makes sense to me. The beer also starts off very well balance, yes spicy but not overwhelming, though as the beer warms the spices do come to the forefront. So yesterday, Sunday 03.07.10, McKenzie’s had a small get together/thank you for the brewers that entered and they were going to announce the winners. It was suppose to start at 4 and started just after. They had all of the house beers, plus the regular seasonals, plus they had their award winning Saison available plus a barrel-fermented (not barrel aged) version of the Saison too, there had a little bit of Heywood-toe up in that beer ;). On top of that they also put out a spread with appetizers; wings, hummus, bbq beef – it was nice. So, I’ll say I didn’t place now, though they did announce a top three winners, even though they had only mentioned there was going to be a first place. The winners were a Dubbel, a Tripel, and a Belgian Strong Ale which took first. Not that I’m complaining, I’m just pointing out the lack of “out of style”-ness of the winners. 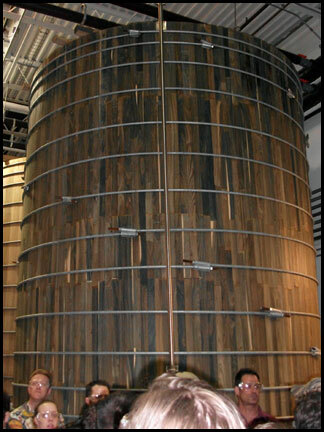 The very cool part was the winning brewer and recipe will get to be brewed on McKenzie’s system, nice. Sunday was productive enough in my little world of homebrewing; kegged the Pale Ales, did some house-keeping, and brewed an Amber Ale. So of course the highlight is the Amber Ale. I jokingly called it the Anxious Amber because I am so concerned with running out of beer / not having three beers on tap. What’s the point of having three taps if they’re all not full, right? So this is a pretty straight forward Amber, sort of similar malt bill as my California Red but toned down a notch, and a little wacky-bird hop experiment using only traditional bittering hops throughout, Magnum and Chinook – I bet it’ll be great. The Magnums were some sticky fellows, even after washing my hands there was still some tackiness. 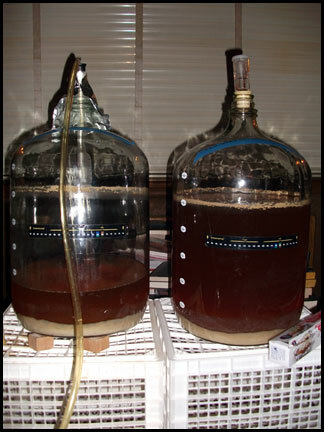 The brew day itself went pretty well, no major hic-cups. Still a little perturbed at the extended mashes and extended cool downs after jumping up to 10 gallon batches, thus extending my day over all. It takes me about 80-90 minutes to heat up all of my sparge and mash-out water, which is about 30 minutes longer than I would care to mash. Though, I must say, the last few batches have crushed the efficiencies, like by more than 0.010 points, so maybe there is at least some benefit to the extended mash. The cooling has and always will drive me nuts. I honestly believe a double cycle through a plate chiller would be the way to go. 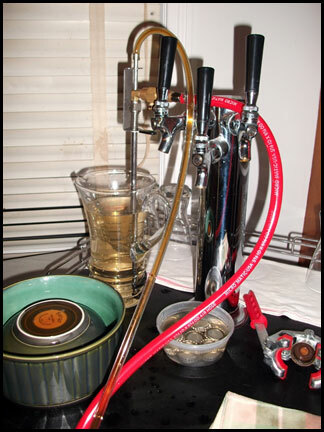 Maybe even whirlpool back into the kettle while pumping to help the trub collect in the middle, let it settle some, and the crack the valve and syphon clean cool wort … hmmm maybe after I have money to blow on homebrew crap again. Other than that the day was pretty chilled. Transferred the two Pale Ales to kegs and did a bunch of house-keeping. Cleaned up my general work area, cleaned like five carboys, and like two kegs. Hey, you gotta do what you gotta do to keep the beer flowing for these knuckleheads. Speaking of beer flowing, the Chinese 5-Spice Belgian Dubbel-style beer (thus has been dubbed the Chinese Dubbel) has definitely been a crown-pleaser and I am totally down with that. So the other night it was time to re-up on my Iron Hill Mug Club renewal, and I gladly paid the annual fee to take advantage of this great Mug Club. Pretty freakin’ dope, I know. So come on out and support you local brew pub(s). Bring a friend, join together, now the two of you have something else in common and something else to do to keep yourselves occupied. Who’s got my JACKET, brah!? Bad picture of said missing jacket above. I’m not 100% sure on what went down, but let’s just say I left the Bob Carpenter Center into the cold February rain one jacket less then when I entered the building last night. I am assuming someone acquired a new jacket last night, MY jacket. 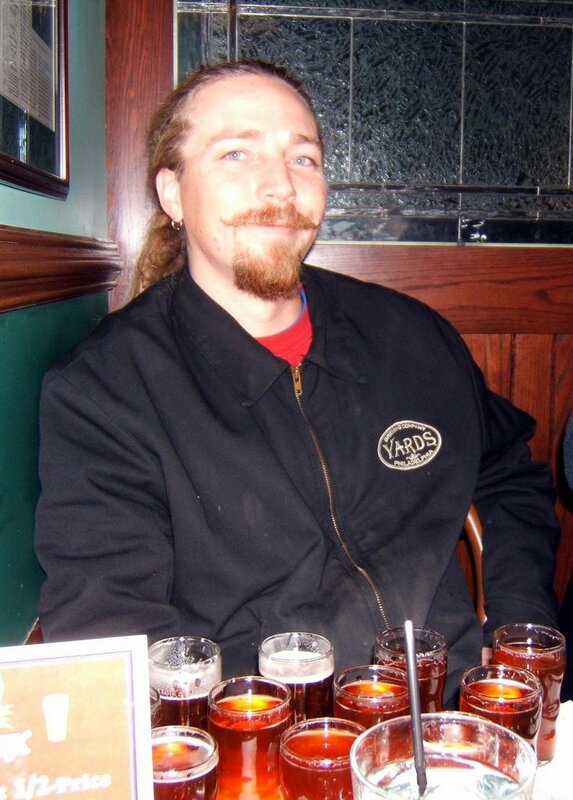 Please keep your eyes open for a black Dickie’s work jacket, XL-Long, with a YARDS Brewing Company logo embroidered on the front left breast pocket and a YARDS swirly-thing logo on the upper back. Honestly, this is the only one of these jackets I have seen locally (Northern Delaware), so if you see someone wearing one of these that hasn’t been before, that’s the guy I’m looking for. I was at the Bob last night to see Further and got very lucky and scored an extra the day of the show and it turned out to be a first row center stage floor ticket (!!! ), talk about awesome. Regardless, I took off my jacket and piled it onto the chairs with several other jackets, like I have several times in the past, not really thinking anything of it. After the show, it was a different story, there was no jacket to be found. I looked for quite a while, kept my eyes open for anyone wearing it, talked to security, and even checked with the Bob’s lost-and-found today, all to no avail. I know it’s not the end of the world to loose a jacket, I get it, but I’d still like it back, and anyone can contact me anonymously through this website up at the little Contact button at the top if they may have information for the return of the jacket. The jacket was actually a gift/reward from April of 2004. I had entered the HOPS BOPS XXI homebrew competition and had won Best of Show for a California Common, and the jacket was the reward. So, besides being just a jacket, a thing to keep you warm, it had some meaning to me. So this evening was spent pushing beer from one container to another. First, the Twenty Pound Pale Ale had to be moved from the primary fermenter to the secondary and get a dose of dry hops, 1 oz of Centennial to be exact. I also moved the beer from upstairs to downstairs where the warmer temp upstairs is preferable during this time of the year to help with primary fermentation, the cooler temperatures downstairs will benefit the beer clarifying. It weighed in at roughly 5.5% alcohol, and pretty balanced, yet slightly malty as of now, so the dry hops should move it towards very balanced. Most of my pale ales are aggressively hopped, this one, not so much. Next the Dubbel and the Chinese 5-Spice Dubbel needed to be bottled. I pulled 5 bottles of the Dubbel and 9 bottles of the 5-Spice, kind of weird numbers now that I think of it. I’m going to leave one of these on tap for now, not sure which, but I am leaning toward the traditional Belgian-style Dubbel, and the other I am going to reserve. I was thinking about it earlier, it’s been since like Christmas since I have had 3 beers on tap at once, I need to remedy this. So I’ll reserve one of the Dubbels, then the Pale Ale will be ready to roll in like two weeks, but that’s it. So I guess I’ll need to brew again soon, and often. If things go right I’ll be re-upping on base malt shortly so it’ll be time to get my brew on, anyone have any suggestions, I’m open!